Our reputation is second to none for house building, renovations, extensions and all other building work. Right Build is a local building company based in Nottingham. We provide construction services ranging from general building work through to house extensions and new build property developments. 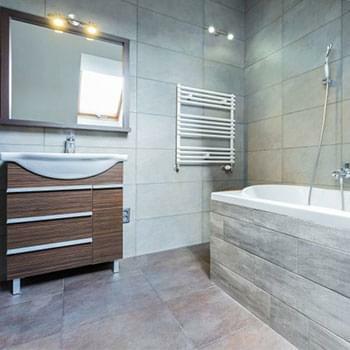 We have a professional team of highly skilled builders and pride ourselves on the high quality of work we carry out. At rightbuild we value the relationship we have with our local community and our customers. Most of our business is generated from recommendations through existing customers who appreciate the standard of our work and the value for money that we provide. 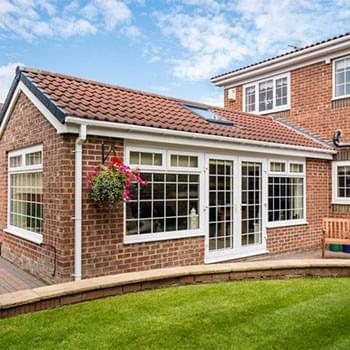 Having carried out a large number of property extensions in Nottingham, we can make your dreams a reality and guide you through each stage of the project. They did a great job on a single storey extension on a our family home. They were friendly, fair and efficient. Anything we raised they sorted straight away. Would definitely use again and recommend to others. As we near the completion of our extension to the rear of the property and the complete fitment of new bi fold doors and kitchen how do you rate satisfaction with the company that has done the work for you. Would I use Rightbuild again? Would I recommend them to family and friends? Every one that has worked on the project have been professional, attentive, tidy, courteous and always on time. When creating a dream there is always a potential it can turn into a nightmare. My experience with Rightbuild has only been a positive one. Deepak I salute you for the way you run your company a big Thank you to you and everyone you have used on this project.The attention to detail by all your tradesmen is most impressive, it has been a pleasure to see craftsmen at work.The only change to the original quoted price were additions that I added as the project progressed all done with no fuss, nothing has been to much trouble. You and all your team are a credit to the building trade. So in conclusion anybody out there considering having future building work done include rightbuild at the very top of your list for your quotes. Their prices are very competitive Deepak makes the whole process as stress free as it can get, but for me their professional approach and attention to detail is guaranteed. We would recommend Rightbuild very highly. Everything about the work was excellent and we are extremely happy with the finished job. From start to finish Dee has been a pleasure to deal with. His communication, knowledge, attention to detail and obvious passion for giving his clients the best possible job made the project a much more pleasant experience than we were expecting. His team of tradesmen were all very reliable, hardworking and respectful of our home and neighbours. There is nothing we could criticise Dee and the team for and will definitely use them again. Deepak managed the extension project very well. 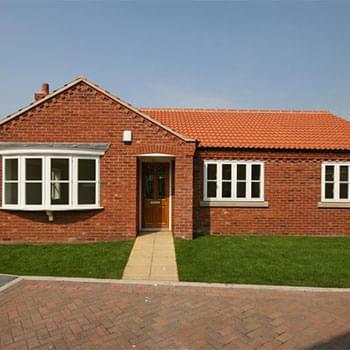 The build was completed to a high standard within the agreed timescales and budget. The staff were very friendly and helpful. I have come to know Dee via using his fantastic service through Right Build. His work is second to none. I have found him and his company to consistently deliver a 5 star service regardless of budget. I would strongly recommend any one looking for home improvements or extensions, do contact Right Build without any doubt. An excellent company. Superb customer service and the quality of work is to a very high standard. We are very pleased with the speed efficiency and although the weather did hold us back a couple of weeks, the workers were very methodical and systematic about it. RightBuild is great value for money and we have already recommended to our friends and family and would definitely recommend to anyone who is looking for a professional but friendly building service. Known him for quite some time, very personable and creative individual, with expert knowledge and skills in his field. His company ‘Right Build’ recently completed a building project for us. Was very pleased with timing, quality of workmanship and final outcome. Would definitely recommend. Finishing the Projects on time and budget. I’ve known and worked with Deepak on a professional basis for a number of years now, and found the quality and workmanship of his company to be of the highest standard. He is committed to finishing the Projects on time and budget, and making sure that the Clients are happy with the final product. He is also committed to the after care service, by ensuring that any concerns after the jobs is complete by the Client, that they are dealt with in a timely and promote manner. I would have no hesitation recommending Deepak and his company for any building works that you may want carrying out. Excellent outcomes. Rightbuild have provided their services on a number of building projects, a very personable individual project manager, providing great advice and guidance and excellent outcomes. A great company to work with. I would have no hesitation recommending. I’ve found the quality and workmanship of rightbuild to be of the highest standard. They are committed to finishing the Projects on time and budget, and making sure that the Clients are happy with the final product. They are also committed to the after care service, by ensuring that any concerns after the jobs is complete by the Client, that they are dealt with in a timely and promote manner. I would have no hesitation recommending. 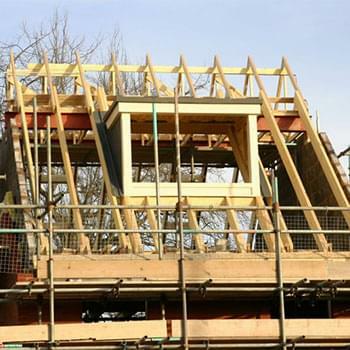 rightbuild for any building works that you may want carrying out. Each crew was extremely professional. I want to compliment you and your exceptional crew for the professional work recently completed on our home. The craftsmanship and brickwork is excellent. From the first meeting we had, you were very pleasant and provided us with important information that we needed to make the right decisions. You set the schedules for each segment of work and completed them often before the scheduled complete date. Issues that needed addressing were addressed in a professional manner, and with great speed. Your passion for ensuring that all works, whether carried out by you or sub-contractors, are of the highest standard is a credit to your professionalism and project management skills. Each crew was extremely professional, courteous, and speedy! They all paid attention to every detail and handled each special situation very carefully and professionally. Upon completion of each job, each crew did an excellent job of cleaning up the site. We will definitely highly recommend your company to all our friends and relatives that need work done now, or in the future. Thank you once again for a job well done by all! We can’t thank Rightbuild enough. We would like to recommend Rightbuild. They have done an exceptional job. We are very delighted with our double story extensions, which consist of: a large kitchen and ground floor bathroom, 2 bedrooms on the first floor and a loft storage room. My husband viewed the work that he did at a friend’s house prior to deciding to hire him for the job. We were worried at the beginning as we never used a Builder and we heard stories about rogue builders. We found Rightbuild to be very friendly down to earth company. They are very professional, helpful and understanding. We felt they were like part of the family. They kept us in control of the whole process; we never felt pressurised or left out. Everything was done according to our needs. The team was made up of highly trained qualified professional, who were very friendly. They did a wonderful clean job. The materials that they used were of the best quality. The whole double story extension was completed within the time scale of 2 months at a very reasonable price. Our friends and neighbours are very impressed with the level of workmanship carried out. They are stunned and admire the new extension and cannot believe that it took 2 months to build. We can’t thank Rightbuild enough for making the whole process very happy and pleasant for us. Overall excellent service throughout, would highly recommend in the future. You’re in safe hands with Rightbuild, don’t hesitate to contact them. Right Build as they came highly recommended. After considering a home renovation for many years, we knew it was important to find a builder we could trust completely and had an excellent reputation. After talking to many companies we decided on Right Build as they came highly recommended and were open to collaborating with us and implementing our ideas. What stood out the most during our experience with Right Build was the eye for detail and consideration to our needs that was shown throughout. The project itself was completed to a very high standard in a timely and professional manner. We would wholeheartedly recommend Right Build to those looking to complete any work on their property. Great service, work carried out to my required specification, house left clean and tidy. Rightbuild are friendly and professional, would definitely recommend. Reliable, they did a good job, met expected quality level, friendly, helpful and the job was done in time. The porch cost was more than quoted but we were happy to accept this as we were kept informed throughout.